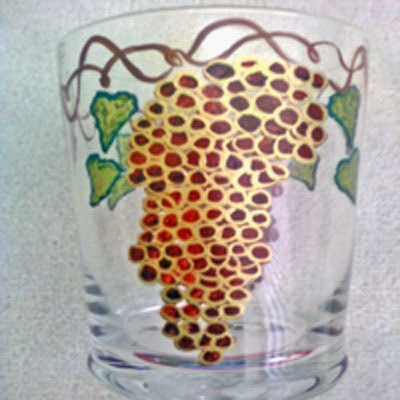 Clearly Susan's hand painted wine glasses in burgundy grape design are ready to pick off the vines. Winding branches twirled within the various shades of burgundy grapes and green leaves etched in gold. 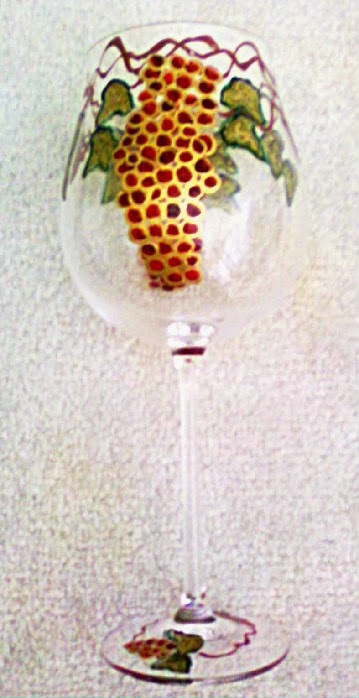 See all of our Hand painted Burgundy Grape collection in cheese dome, wine decanters and cake plates. The vineyards are bursting with clusters of Clearly Susan's hand painted burgundy grapes on wine glasses, wine decanters, wine coolers, and cheese domes just waiting to be picked. Serve your favorite cheese appetizers and spreads in this unique cheese dome. 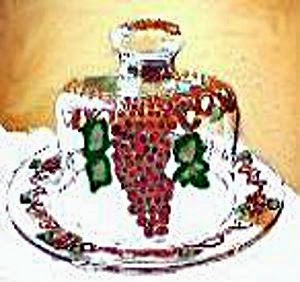 Our custom sets of hand painted burgundy grapes on cheese domes, wine glasses, wine coolers and wine decanters will compliment anyone's home decor. 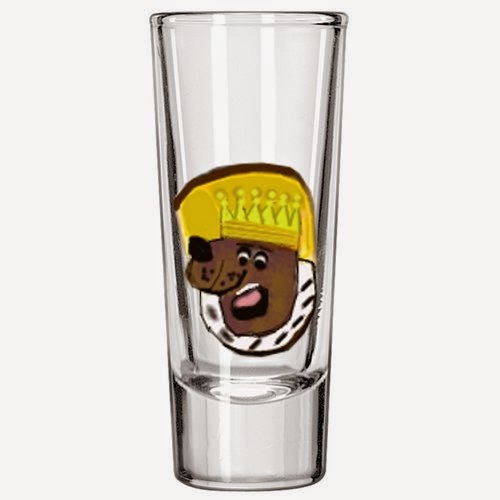 Scooby Doo Wine Glasses and Shot Glasses - Scooby Doo Where Are You? Scooby Doo Where Are You? Do you remember where you were when you first experienced Scooby Doo? A lot of my peers were huge Scooby Doo fans and collectors of Scooby Doo Gifts back in the 70's, but somehow I missed that the first time around. 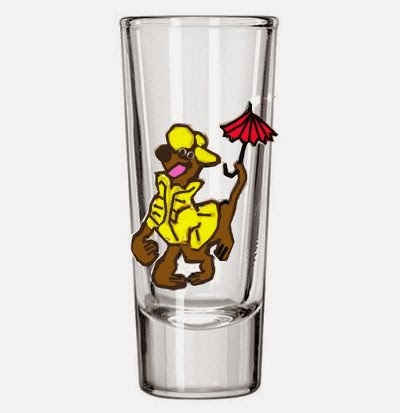 They are adults now and are still into Scooby Doo and Scooby Doo gifts such as Scooby Doo wine glasses, shot glasses and platters, and they love to collect unique original items. 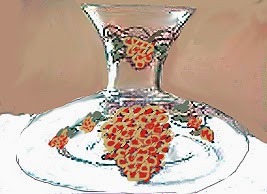 These are not mass produced collectibles, but one of a kind individually hand painted and signed just by your request. Joseph Barbera the creator of the TV show Scooby Doo died in December 2006. Less than a month later it was discovered that while the television series Scooby Doo was created by Barbera, the character of Scooby Doo, upon which the series was based, was created by Iwao Takamoto, who passed away January 9, 2007. Takamoto was born in Los Angeles to Japanese parents and was sent to an internment camp in the California desert during World War II. It is there that Takamoto learned to draw, a talent that led him to a job interview with Walt Disney after his family's release from the camp. Takamoto apprenticed at Disney's studio and worked on such great films as Cinderella, Peter Pan, and Lady and the Tramp.In 1961 Takamoto went to work for Hanna-Barbera and worked on such television shows as The Flintstones, Josie and the Pussycats, The Great Grape Show, and The Harlem Globetrotters. Scooby Doo was named for the last line of the Frank Sinatra rendition of Strangers in the Night, and based on a conversation Takamoto had with a Great Dane dog breeder. 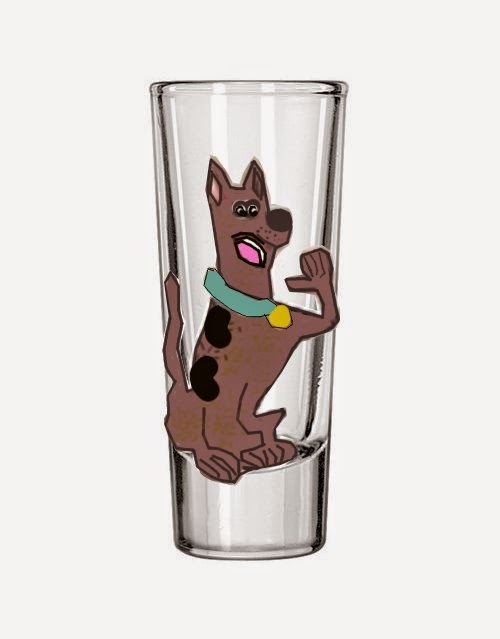 Hence was born one of the most beloved cartoon characters of all time, the scaredy-cat dog who always manages to come through in the end, with maybe a little Scooby Snack persuasion and assistance from the rest of the gang-Shaggy, Daphne, Fred, and Wilma. Share your thoughts in the comment section: How many of you were into Scooby Doo in the 70's. Don't worry it won't date you.